As the production of pianos became more industrialized in England during the 1830s, piano designers and manufacturers looked for novel ways to capture the market. 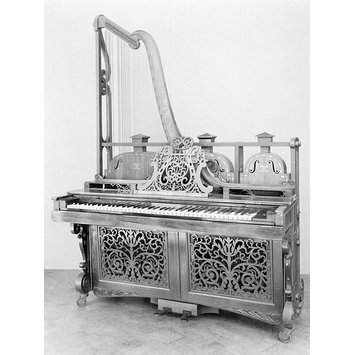 Among these designers was Dr John Steward of Wolverhampton, who patented the Euphonicon in 1841. 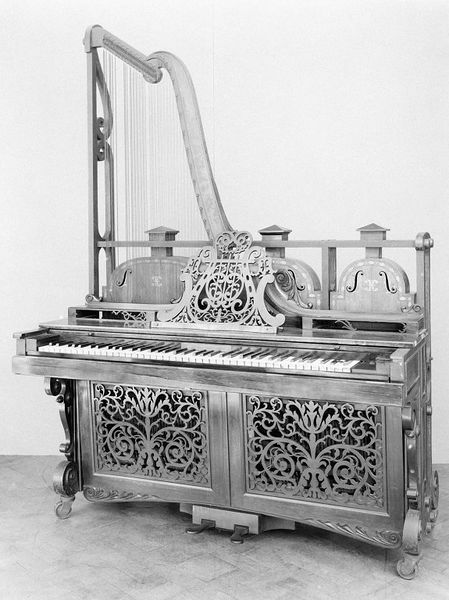 This unorthodox form of upright piano was fitted with violin-type sound boxes, and had its strings attached to a harp-shaped frame. Steward's ideas had little lasting influence on piano design, although Florence Nightingale is said to have played such an instrument. Retailer's identification; Inside the arms of the case on each side.